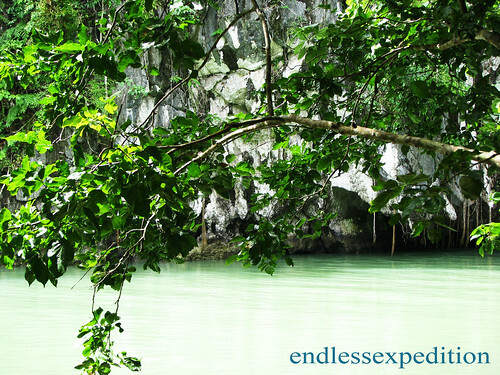 For my very first post about the Philippine's last frontier, Palawan, may I present you the beautiful and famous Puerto Princesa Subterranean River or as some may call it, the Palawan Underground River. A UNESCO Natural World Heritage Site, it has also been nominated as one of the 28 Finalists on the New 7 Wonders of Nature. 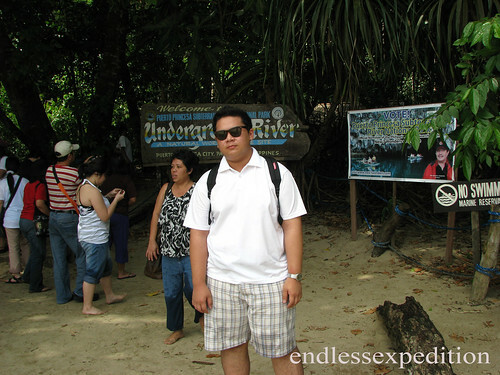 Located 50 kilometers north of the heart of Palawan's Capital Puerto Princesa, this magical Wonder has always drawn tourists and travelers from all over the world and from all over the Philippines, in the likes of me! To get there from Puerto Princesa City, since we don't have a car in the islands, we joined a tour that took us to the place including Van transfers, boat transfers to and from the Subterranean River, a buffet lunch at the nearby beach and friends that you meet that cost us Php2000 per head. It was quite cheap to sum it all up because you only have two options to get there, by your own private car and renting a boat, or by a tour package, just like what we got with the help of our Hotel Affiliates. After about an hour of bumpy Mountain van Ride (which according to our tour guide had drastically changed a lot better due to the road concreting that was done a few months before our time at the Island) as we reached the end of the road, it was time for us to get in the boat that would take us directly to the Entrance of the National Park. The boat ride took us about 20 minutes of Beautiful and Magical views of Sapphire Blue seas, Gigantic Limestone Karsts and the smell of the freshest sea breeze. Me and my Dad seating in front of the other tourists about to enter the cave. When we got inside the mini forest that led us to the river banks, hundreds of tourists and travelers from around the world gather round as we log our names in the log book. There I saw names of Local and International tourists, some from Mexico, Korea, USA, Germany, France, and China as I could remember. We were grouped into Eight and we are 10 groups beyond from the ones entering the cave so we had plenty of time to talk to other travelers and take some shots of the National park from the Outside of the Subterranean River. When it was our turn, the tour guide asked us whoever wants to hold the light for the whole trip inside, and the other tourists pointed me and I accepted the offer happily. As we went in the darkness of the cave a monitor lizard greeted us swimming along the river. I took it as a good sign that I would really enjoy the whole boat ride inside and I was not wrong. Beautiful Limestone Stalactites and Stalagmites form Magically throughout the whole cave making up shapes of different fruits and vegetables such as Mushrooms, Corns, Carrots, Sayotes and other foods like Bacons and Steaks. But my most favorite part is the Cathedral where the Ceiling was so high and images of Saints like Joseph, Mary and even our Lord Jesus was formed naturally by time. 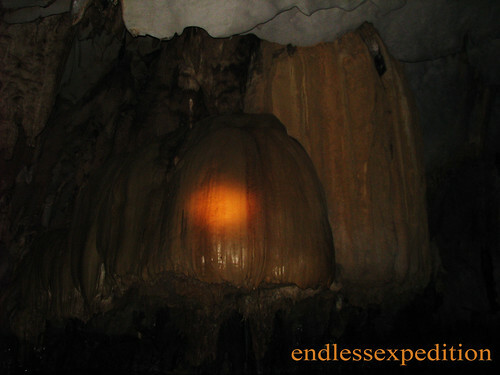 Thousands of bats circle above us and the balinsasayaw birds, whose nests are sold for a very high price to produce the Chinese bird's nest soup, resides also on the whole cave. as we reached the farthest end that the tour could get in on the 8.2 kilometer navigable river, we turned back and went where we started. But it did not bore us at all since there a lot more formations that were emphasized during our trip back. The whole time that I was inside the cave was truly magical! It was unforgettable since it was my first time on an underground cave and barely just my second time inside any cave. 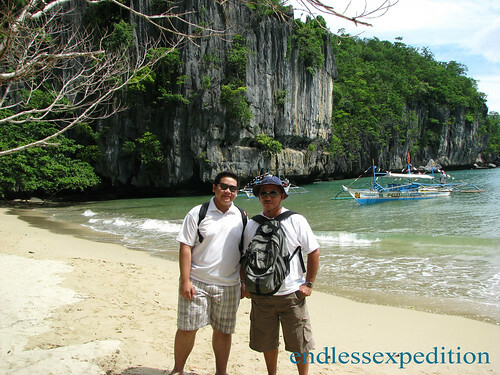 Sharing the whole Palawan trip with my father was a very great experience and someday soon, I really hope I could take my dad on another of my adventures around the globe. 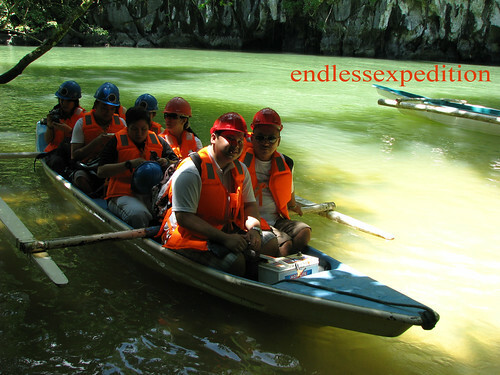 As I end my post, I would like to invite you all to vote for the Puerto Princesa Underground River as it made it to the Final 28 list buying the spot for the New 7 wonders of Nature. Click on the link to kindly vote for this Magnificent World Wonder. 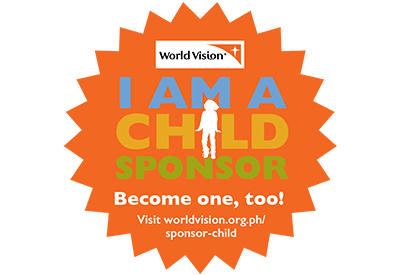 A quick registration that would take you less than a minute will make a difference as you support the Philippine Candidate as it marks itself to the list of World Wonders.